Notice is hereby given that the Board of Review for the Town of Wrightstown, Brown County, Wisconsin, shall hold its first meeting on Thursday, May 25, 2017, from 5:30-7:30 p.m. at the Town Hall, 1527 Day Street, Greenleaf, Wisconsin. Pursuant to Sec. 70.45 of Wis. Stats, the assessment roll for 2016 will be open for examination at the Town Hall, 1527 Day Street, Greenleaf, Wisconsin on Wednesday, May 17, 2017, from 4:30 – 6:30 p.m.
2. After the first meeting of the board of review and before the board's final adjournment, no person who is scheduled to appear before the board of review may contact or provide information to a member of the board about the person's objection, except at a session of the board. 6. No person may appear before the board of review, testify to the board by telephone, or object to a valuation if that valuation was made by the assessor or the objector using the income method of valuation, unless the person supplies the assessor with all the information about income and expenses, as specified in the assessor's manual under s. 73.03 (2a), Wis. stats., that the assessor requests. 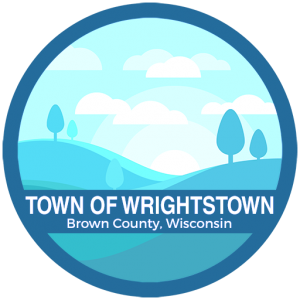 The Town of Wrightstown has an ordinance for the confidentiality of information about income and expenses that is provided to the assessor under this paragraph that provides exceptions for persons using information in the discharge of duties imposed by law or the duties of their officer or by order of a court. * The information that is provided under this paragraph, unless a court determined that it is inaccurate, is not subject to the right of inspection and copying under s. 19.35 (1), Wis. stats. Notice is hereby given this17th day of April, 2017.